Our phone number will remain the same – (206) 223-7703. 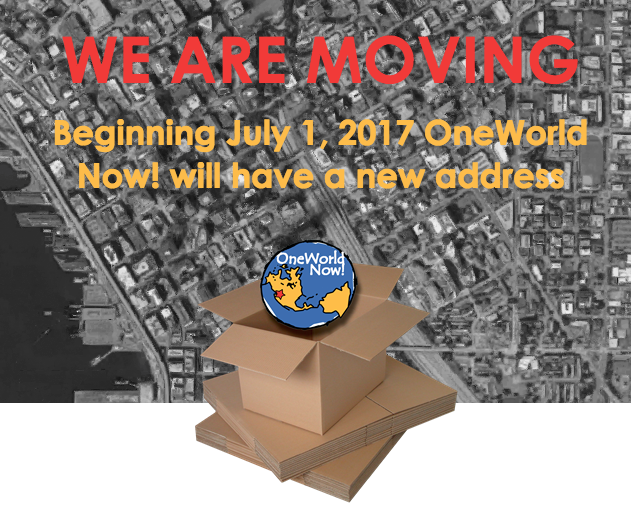 After five years of working in a co-working space with shared amenities, OneWorld Now! will be starting from scratch in the new office. While we’ve enjoyed many conveniences at our current location – like a fully equipped kitchen, office chairs, a copy machine and more – in our new space we are on our own to furnish it. We have a wish list on Amazon that includes urgently needed items to get us up and running at 2200 6th Avenue. Please join us in making the new office feel like home. When you buy an item off our list, it will be sent directly to the new office. Thank you so much for helping us settle in to the new office!